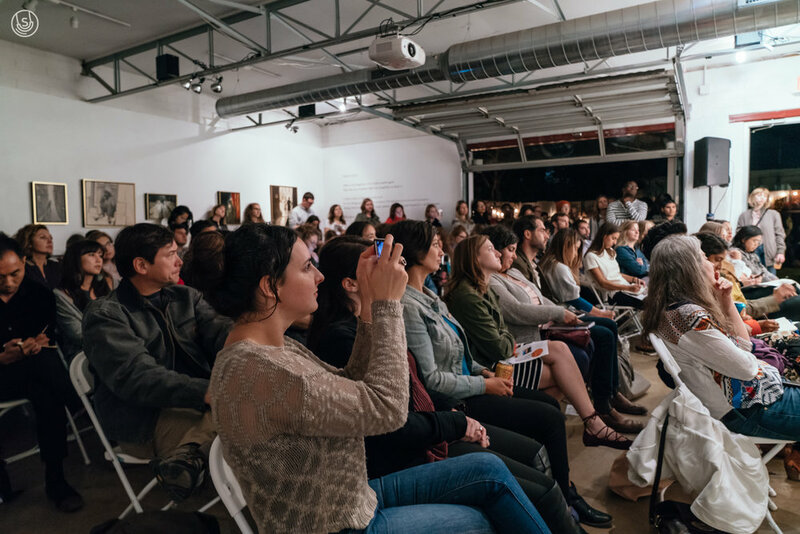 On Nov. 7 at Lewis Carnegie Design Studio, we hosted a collaborative panel, in conjunction with Austin Design Week and &FEMINIST, to explore the intersections of personal/political narratives and our social/built environment. Read on below for a recap. 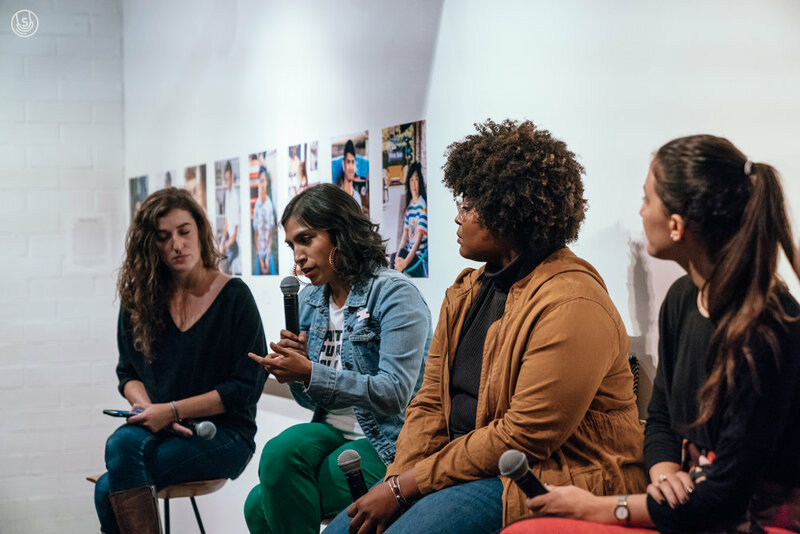 Hosted at Lewis Carnegie Studio, this panel featured four panelists, a pop-up installation from &FEMINIST and a closing film screening from Open Architecture: Austin. Featuring four multi-hyphenate professionals, in conversation with &FEMINIST founder, Erica Wilkins. Erica Wilkins (moderator) is a professional photographer and the founder of And Feminist, a portrait series that showcases the diversity in gender, age, race and background of self-identifying feminists. Wilkins aims to reduce stigma and support conversations on the universal benefits of equality and women's rights using the power of environmental portraiture. Jeanne Schultz (panelist) is Principal of Jeanne Schultz Design Studio, a small scale design firm offering building and interior design services, with dynamic, meaningful projects worldwide. Schultz designed her first building before graduating from UT-Austin, which was constructed in the historical and culturally diverse neighborhood of East Austin. Building on this precedent, her eponymous firm established January 2016 seeks to break the mould of traditional architecture and design firms by employing flexible and collaborative strategies, advocating for gender, race, and wage equality, and engaging the community with design. She and her team of collaborators have undertaken a multitude of projects that address complex development issues such as adaptive reuse, compact dwelling units, and commercial tenant finish outs. As a proponent of both global sustainability and public interest design, Schultz has and continues to design structures not-for-profit in an effort to improve local urban infrastructure. Lauren Murray (panelist) is an editorial and PR professional that studies place-making in the Houston & Austin areas. She considers herself to be a citizen architect and is engaged in the architectural activism community having collaborated on event production and communications strategy for Open Architecture Houston, Rice Design Alliance, Cite Magazine, the Nashville Civic Design Center, #BossBabesATX, and Hip-Hop & Architecture, the traveling series. She also moderates the Houston Urbanists Facebook group. With a desire to bring urbanism to the forefront of millennial conversation, in February 2018 she will be launching Mindful Residency, an interview project focused on inspiring various millennials to explore their definitions of placemaking and mindfulness in their own communities. Dr. Kevin Michael Foster (panelist) is a University of Texas at Austin professor with appointments in Black Studies, Curriculum and Instruction, Educational Administration and Anthropology. Through ICUSP, the Institute for Community, University and School Partnerships, which he founded in 2006, Kevin directs student programs, coordinates professional development activities for schools and community, and is the Executive Producer of BlackademicsTV, an Emmy-nominated television program developed in partnership with KLRU PBS-TV Austin. Dr. Foster has authored dozens of publications and received numerous awards, including the Paredez Endowed Teaching Award from UT, the Akins Heritage Award from Austin Independent School District, the LBJ Presidential Library Faculty Volunteer of the Year Award, and the Diversity Champion Award from the Greater Austin African American Chamber of Commerce. Dr. Foster lives in Austin Texas and Washington D.C. and has two teenage children, Marlee and Malcolm. Rebecca Sanchez (panelist) is an artist and part of the immigration team (and development, administration and visual projects coordinator) at Grassroots Leadership. In her former life, she was the art director for a charter school in Austin, TX and wholeheartedly believes in the power of art to heal. She is a member of Communities of Color United, a regular volunteer for The Lilith Fund and dedicates time to helping community members with artistic/creative visuals as they are needed. Rebecca is the youngest of 8, a tia to 16 and hopes to see the City of Austin give as much attention to the communities of color that have shaped this city as they do the developers that are ensuring its un-affordability. 1.) Be an insurgent. Throughout the talk, Dr. Kevin Michael Foster spoke to his career in academia and how he has used his influence to advocate for his community in spaces where they are excluded. He validated feelings of discomfort when calling out witnessing discrimination and urged attendees to lean into action, instead of passivity. 2.) Most cities and urban areas are designed with male-identifying people in mind. Lauren Murray, citizen architect, shared some of the findings from Sexism and the City. Dismantling inequality extends beyond culture—we must examine our built environments, as well. 3.) When talking about the gentrification of East Austin and the changing landscape behind the City's new developments, panelist Rebecca Sanchez urged us to consider the voices we exclude in these conversations. Who has the opportunity to provide input on our city's built environment? When we create new spaces for ourselves, who are we pushing out? Examine these questions within the context of both your social and built environments. 4.) Architectural designer Jeanne Schultz shared stories from her recent experience in Lagos, designing a community art installation. She touched on the stark contrast between the modern, contemporary construction of the installation and its context within the quaint village, explaining that this architectural discrepancy deterred community members from visiting and interacting with the pieces. She encouraged attendees to be proactive in inclusivity—invite the community in your built environment to the table, i.e. engage beyond your social network. Talk to the people who live next door to you and down the street; you'll thank yourself later. At the close of the discussion, we also included a screening of SISTA IN THE BROTHERHOOD. Presented by our friends at Open Architecture / Austin, Sista in the Brotherhood is a 20 minute short about a black, apprentice carpenter who faces discrimination on the job and must choose between taking a stand or keeping her job. It was inspired by the thesis of producer, Dr. Roberta Hunte and partially based on the experience of journey level carpenter/director Dawn Jones Redstone. It was filmed on the Sellwood Bridge construction project in Portland, Oregon. 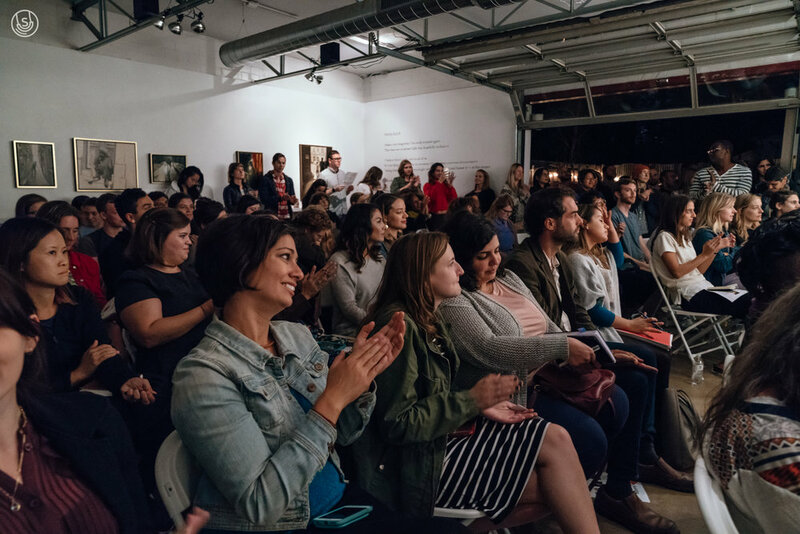 About #bossbabesATX: Through our programming, we hope to foster community, conversation and commerce around women in creative industry and the arts and women-owned businesses. Our productions center on personal and professional development, activism, the arts, entrepreneurialism, and community infrastructure. We believe intersectionality, informed decision-making, sharing professional resources and actively advocating for women's rights and the rights of marginalized peoples are inherently valuable and beneficial. Learn more about our programming and mission at bossbabes.org/why. *Our events prioritize the voices of self-identifying women and non-binary folks. We are not gender-discriminant; all are welcome to attend. About &FEMINIST: And feminist is meant to be a neutral, non-confrontational collection of environmental portraits that humanizes the label by bringing in two more descriptors chosen by each subject to show a fuller view of who they are whether that be family, religion, career, or lifestyle focused. Many people are something in addition to a label of their belief in equality. A fuller sentence of ____________, _____________, and feminist paired with portraits of people in their daily environments aims to show how universal the needs and wants for equality are today. About Austin Design Week: Austin Design Week celebrates Austin's creative economy through a week of workshops, talks, studio tours and events. For its second year, ADW invited the community to propose and showcase the best in visual, interactive, product, industrial, architectural and civic design. About Lewis Carnegie Studio: Lewis Carnegie Studio is a multi-discipline design studio fueled by smart thinking and years of experience. They excel in branding, websites, signage, print, packaging, and illustration. About Open Architecture / Austin: Open Architecture Collaborative is a non profit, global network of volunteers, mobilizing architects, designers and neighborhood leaders to provide design services to under served communities. The chapter's motivation is to "open architecture" by using different mediums to make positive impacts within our communities. OA/A provides engagement, facilitation, needs assessments, and advocacy, and the team organizes/participates into events to promote social and environmental design initiatives in the greater Austin area. OA/A is currently designing a micro-home model to replace the RVs at Community First! Village.